Aaron Cole April 11, 2019 Comment Now! 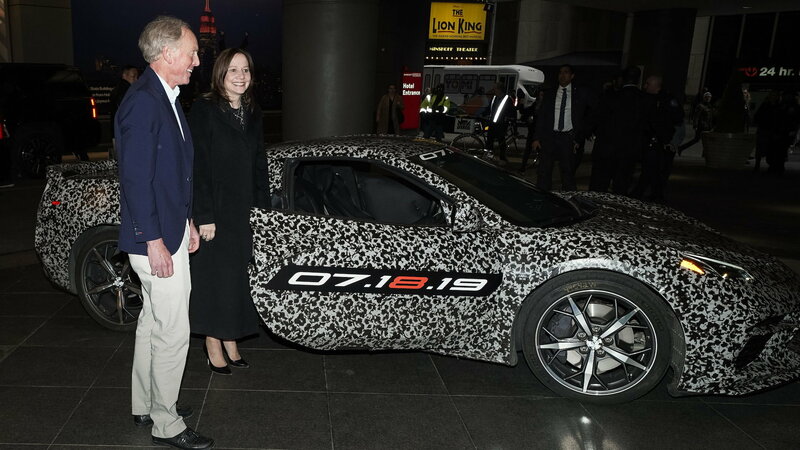 Chevrolet pushed out a notification via its fan site about the debut and General Motors Chairman and CEO Mary Barra together with Corvette engineering head honcho Tadge Juechter later showed up to a charity event in New York City with a prototype confirming the date. 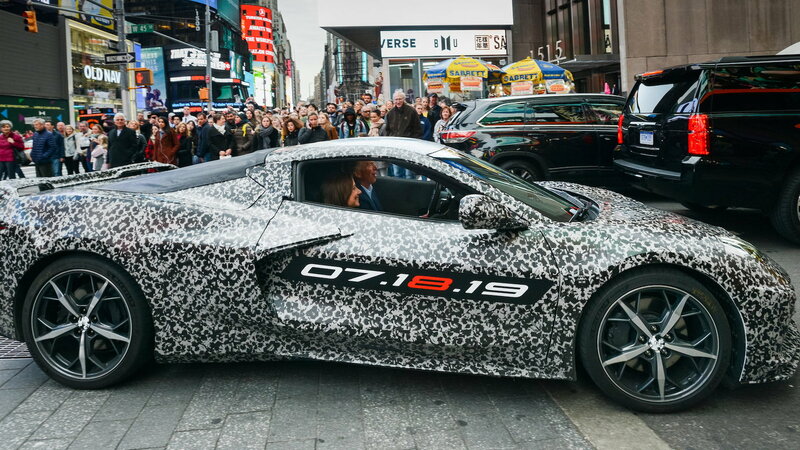 They also confirmed at the charity event that the final C7 Corvette, a black 2019 Z06, will be auctioned off on June 28 to benefit the Stephen Siller Tunnel to Towers Foundation. 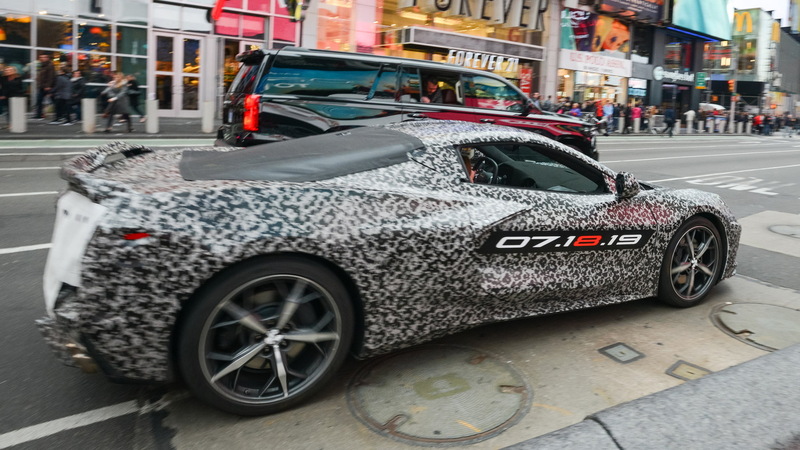 The C8 Corvette has been long in development with plenty of speculation along the way. The next-generation Corvette, known as the C8, will be the first to feature a mid-engine design, a layout that engineers once considered, but haven't pursued until now. READ MORE: Opinion: What's the point of the mid-engine 2020 Chevrolet Corvette? 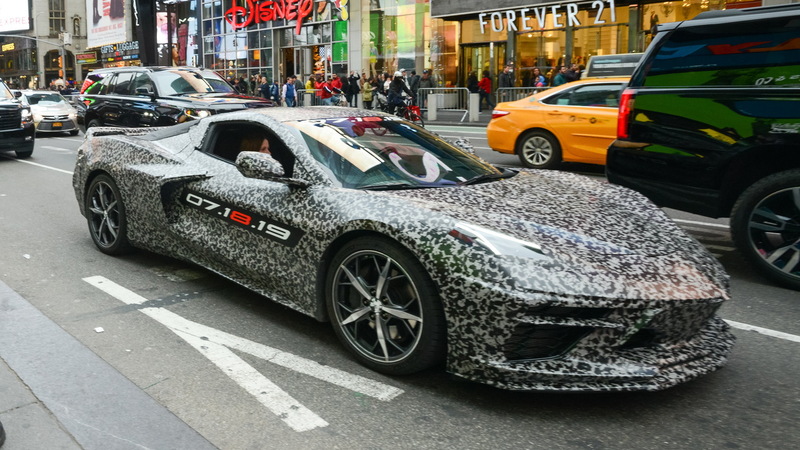 We expect V-8 power for the Corvette throughout the lineup, including a potential hybrid powertrain that could develop more than 1,000 horsepower and drive all four wheels. We expect the base engine to be a version of the 6.2-liter V-8 plucked from the C7 that should be tuned to make about 500 horsepower. A 5.5-liter flat-plane crank V-8 could come later and deliver more than 600 hp. A range-topping hybrid could be a world-beater and a serious threat for million-dollar supercars. 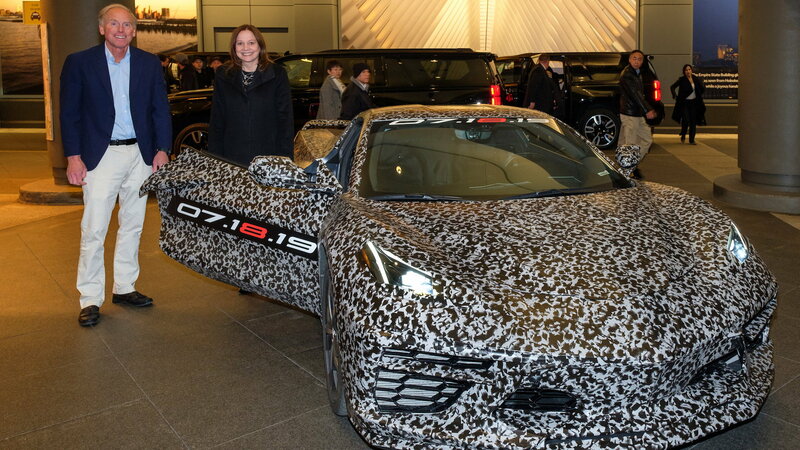 We recently spied the next-generation Corvette wearing the least camouflage yet. The short front overhang and buttresses are unmistakable as a mid-engine sports car. The new Corvette likely will skip scissor doors or exotic frippery—at least in base models that are likely to cost less than $100,000, maybe considerably less. For top-end versions, anything is possible. A spokesman for Chevrolet didn't immediately comment on the automaker's announcement, nor provide details on where the event will be held and when reservations will be accepted for the new Corvette. For now, all we know is that July 18 will be circled on our calendars—and likely yours.